The American Heart Association (AHA) has released a statement that compiles current knowledge about female heart attacks, but it also takes note of what remains to be understood on the matter. Heart disease remains the leading cause of death among women both in the U.S. and around the world. Although the AHA notes that advances in knowledge have allowed for lives to be saved, coronary conditions in women remain an understudied and undertreated area of medicine. For instance, although both men and women experience chest pain as the main symptom of a heart attack, women can also have more vague symptoms instead. For these individuals, their heart attacks come with no chest pain but instead feature back, shoulder, or jaw pain, sweating, nausea or vomiting, even indigestion or flu-like symptoms. When recognized, these symptoms make it harder to identify a heart attack as the origin because of how non-specific they can be. 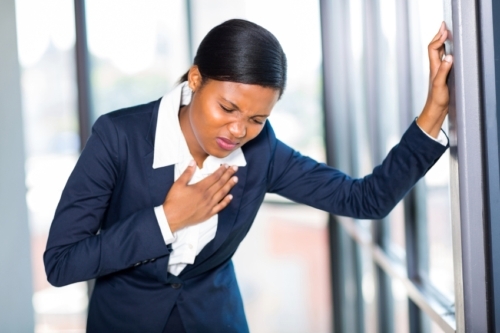 Another key difference is that female heart attacks tend to have different causes than in men. For men, most heart attacks are caused by blocked coronary arteries. In women, the more likely causes are when arterial spasms suddenly lower blood flow or when a tear spontaneously occurs in an artery. Women also have more bleeding risks and likelihood of complications during medical procedures to restore blood flow and are also more likely to be readmitted or to die within a year of a heart attack. The reasons for all these differences, the AHA observes, are still largely unknown and not all can be explained by hormones. Outside of other biological differences, it is theorized that social and environmental differences also affect how women recover from and seek treatment for coronary issues. Women, the AHA statement explains, are more likely to delay seeking treatment for heart attack symptoms and less likely to complete cardiac rehabilitation. Interpreting symptoms as non-urgent, living alone, competing responsibilities, and a lack of support are among the possible causes for this phenomenon. Moving forward, the AHA recommends improving diagnostic and treatment methods for arterial spasms and tears along with increased awareness of some of the more gender-specific heart attack traits and symptoms. Sine many cardiovascular research trials and experiments have a disproportionately male subject pool, steps to improve female participation is also advocated in order to further improve understanding. A recent study also shows how diabetic women are more likely to suffer from heart attacks than diabetic men— especially in women over the age of 45. “American Heart Association Makes First Ever Statement on Female Heart Attacks,” EurekAlert! web site, January 25, 2016; http://www.eurekalert.org/pub_releases/2016-01/m-aha012516.php.